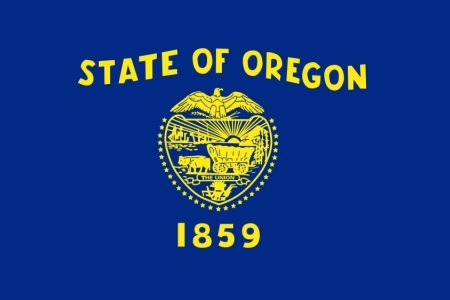 The Oregon Health Information Property Act proposes patients should be allowed to authorize their healthcare providers to sell their health data and for them to be financially compensated if their health information is sold to a third party. Currently, the Health Insurance Portability and Accountability Act (HIPAA) Privacy Rule limits the allowable uses and disclosures of ‘Protected Health Information.’ HIPAA-covered entities are only permitted to use or disclose PHI for purposes related to the provision of treatment, payment for healthcare, or healthcare operations. While there are some exceptions, other uses and disclosures are prohibited unless consent is first obtained from patients. The HIPAA Privacy Rule covers PHI, which is identifiable patient information. If PHI is stripped of information that allow an individual to be identified, it is no longer considered PHI and is no longer subject to Privacy Rule controls. That means that if a HIPAA-covered entity de-identifies PHI, they can then sell that information on for profit. That information can be valuable to research organizations and other entities. Senate Bill 703, dubbed the Oregon Health Information Property Act, is sponsored by Senator Floyd Prozanski (D-Eugene) and has the support of than 40 co-sponsors. Essentially, the bill would see consumers health information treated in a similar way to property and would allow them to profit from its sale. It would require HIPAA-covered entities and their business associates and subcontractors to obtain a signed authorization from consumers before they de-identify PHI to sell on to third parties. Consumers could choose if they want to receive payment in exchange for giving authorization to allow their health data to be sold. The bill also prevents consumers from being discriminated against for refusing to sign an authorization or choosing to receive payment. HIPAA-covered entities are able to profit from selling de-identified data so it is argued that patients should receive a cut of the payment; however, despite having attracted considerable support, concern has been voiced about the impact of these authorizations. The bill, in its current form, does not place any limitations on the uses of health data once authorization has been provided. Information could therefore be used for a wide range of purposes once authorization has been given – Reasons that may not necessarily be listed on the authorization form. The bill also makes no distinction between an individual’s protected health information, health information or de-identified data. By signing a form to receive a small payment, consumers would be relinquishing their privacy and important protections afforded by HIPAA, which could have various unintended repercussions.